November 10 was sunny but cool up in Marble Hill, Georgia at The Willows Farm. 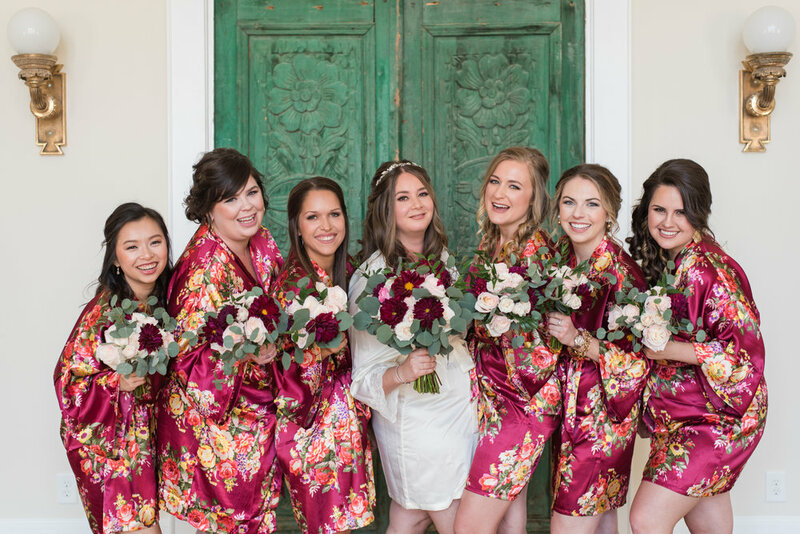 Alex and her girls were dressing in the beautiful rooms upstairs while the ceremony was being moved to the indoor location downstairs. Originally, Alex and John had planned to have their ceremony overlooking the lake, but cool temperatures and steady winds changed their minds. 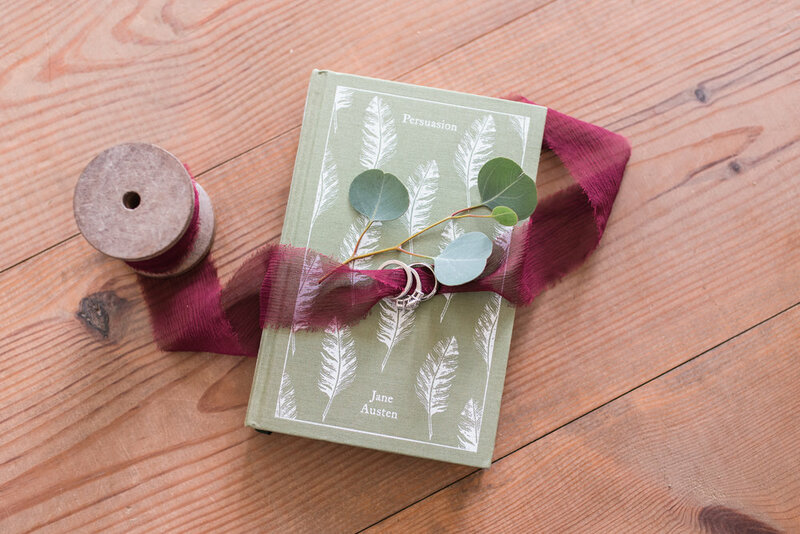 The Willows Farm is a beautiful venue full of treasures, including some striking black doors that used to be in a castle (check out Alex’s bridal portraits for a glimpse of those!) 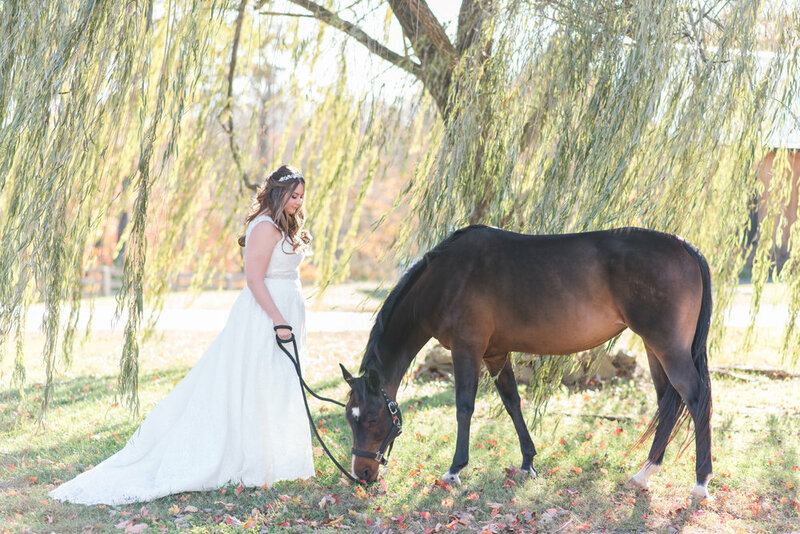 I think other than marrying John, one of the things Alex was most looking forward to was getting to take some bridal portraits with Lily, one of the resident horses. Alex grew up at the barn riding, and horses are in her blood. Lily had been bathed and groomed just for the occasion, and Alex’s face lit up when she rounded the corner to see her by the willow tree. After hanging out with the guys, and shooting Alex’s bridal portrait with Lily, we prepped for the ceremony. John and Alex come from different backgrounds but meld so beautifully together! John was raised Catholic, and Alex was Jewish, so John’s family priest and Alex’s Rabbi were on hand to jointly perform their ceremony. 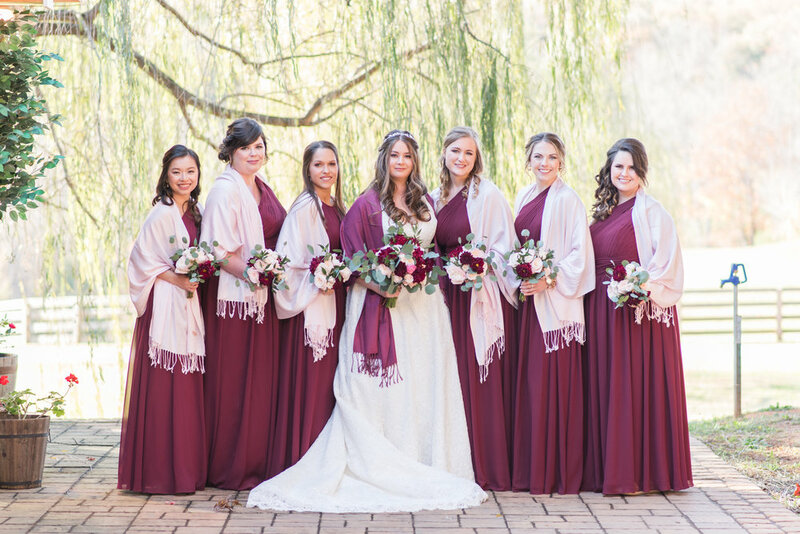 Their ceremony was beautiful with candles, string lights, and flowers lining the aisle. 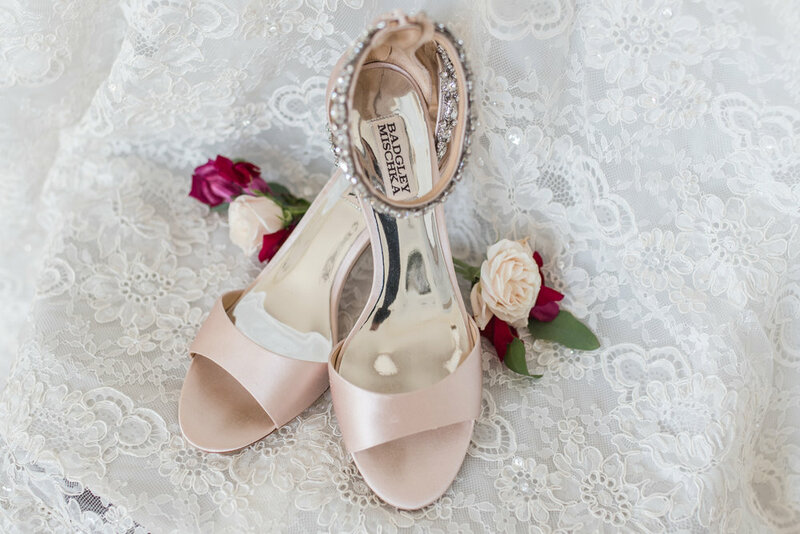 Alex’s father escorted her down the aisle to her beaming groom, and after vows, signing the Ketubah, and breaking the glass, they shared their first kiss as husband and wife. 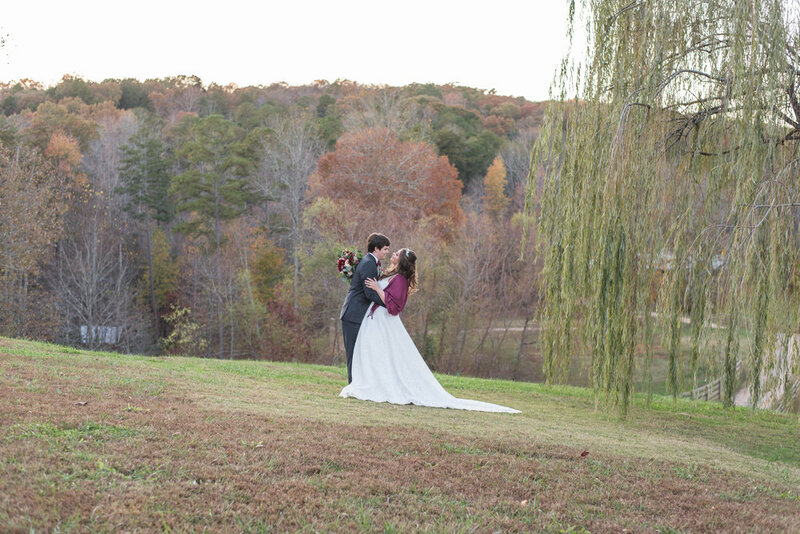 We shot Alex and John’s portraits on the hill overlooking the mountains in the distance, and by the lake where their ceremony was originally going to take place. 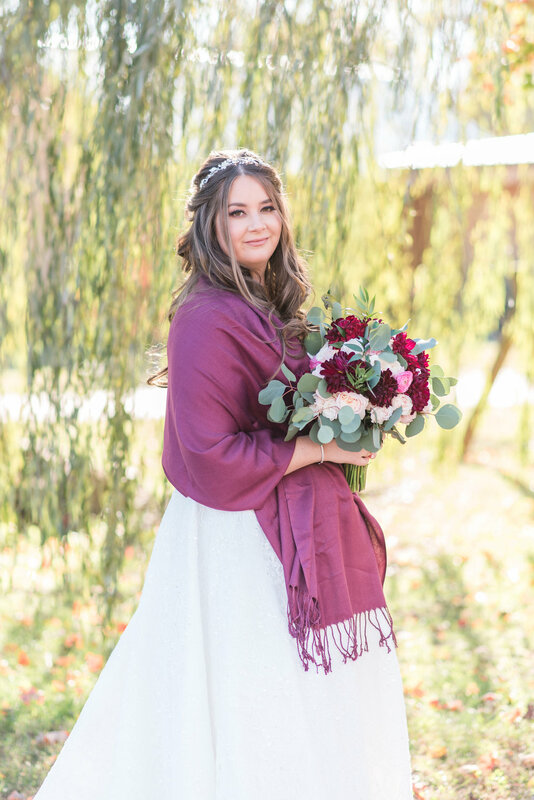 It was cold, so Alex opted to wear her beautiful pashmina—and I think the colors are just stunning! 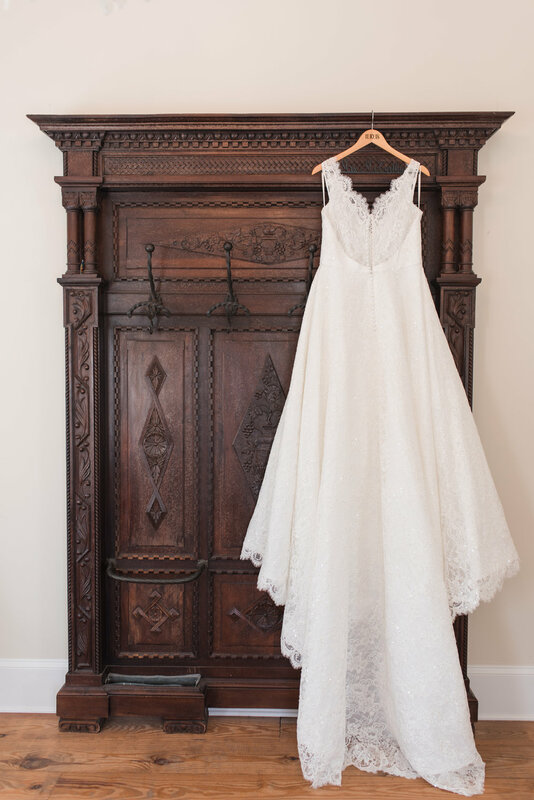 The reception was so much fun…the family celebrated under a massive antique crystal chandelier, danced the Hora, and lined the sidewalk for Alex and John’s sparkler exit out to the awaiting trolley. 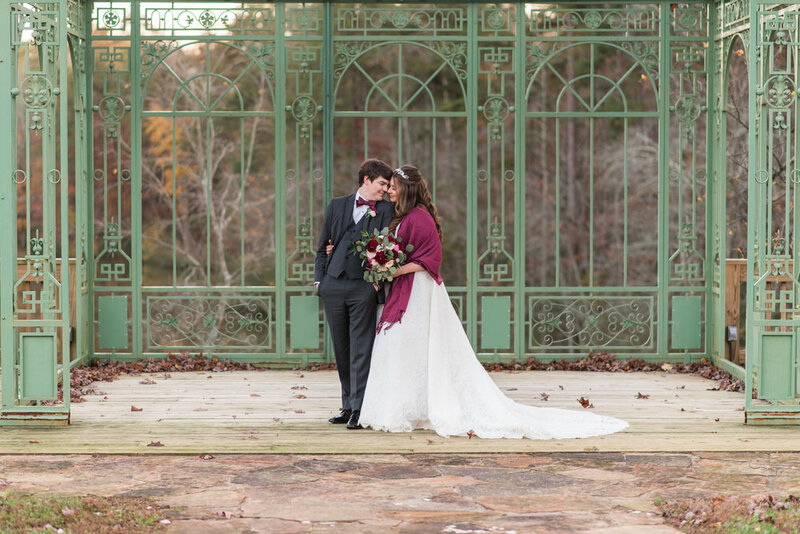 It was truly a beautiful day and I was so excited to be able to capture it for them! Alex and John—congratulations on your marriage! I wish you a lifetime of happiness together!